In a world where imagination and magic conquer all, this is the ultimate family fun escape. Inspired by wonder, four kids travel through a wardrobe to the land of Narnia to fulfil their destiny. New performances added till November 13! Tickets are on sale now for members and will be on sale for general public on August, 27. 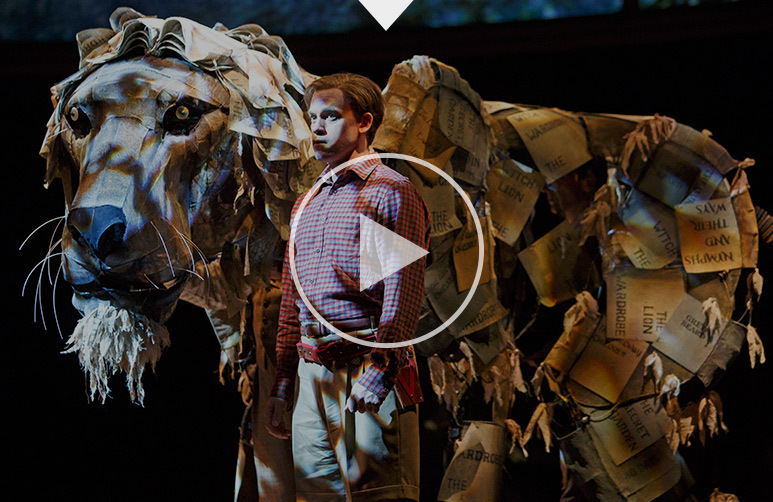 Tom McCamus (left) as Aslan and Gareth Potter as Peter. Photography by David Hou. Mike Nadajewski (left) as Mr. Tumnus and Sara Farb as Lucy. Photography by David Hou. Yanna McIntosh as White Witch. Photography by David Hou. From left: Ruby Joy as Susan, Barbara Fulton as Mrs. Beaver, Sara Farb as Lucy and Steve Ross as Mr. Beaver Photography by David Hou. Andrew Robinson (centre) as Fox with Rosemary Dunsmore and Sean Arbuckle (ensemble). Photography by David Hou. Andrew Robinson (ensemble). Photography by David Hou.